Vita Audio releases limited edition Selfridges R1 MkII radio | What Hi-Fi? Only 2000 will be made worldwide and each unit will be individually numbered. 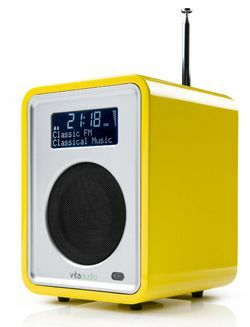 The R1 MkII won best desktop DAB radio £100-£200 in our 2010 Awards. It has tDAB, DAB+ and FM tuners, a RotoDial control, stereo headphone jack, clock/alarm, a 3.5in speaker, aux input and 9W power output. Other finishes available include walnut veneer (£160), or dream white and midnight black gloss lacquers (£180).